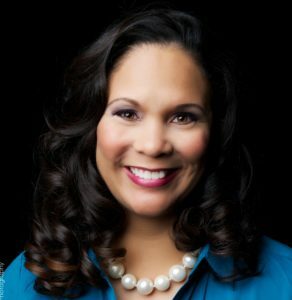 Yvonne N. Harris currently serves as the Diversity Talent Attraction Leader for Capgemini North America, a global leader in consulting, technology services and digital transformation. Immediately prior to joining Capgemini, Yvonne was a Regional Human Resources Director in the financial services industry. She is certified as a Senior Professional in Human Resources (SPHR), a Society for Human Resources Management – Senior Certified Professional (SHRM-SCP) and a Life Coach. Yvonne is a two-time winner of the DiversityFIRST Award which recognizes demonstrated dedication and continuing commitment to advocation, raising awareness of diversity, and protecting civil and human rights. Her passion for making a positive contribution to issues that impact women and children has led to her involvement in a community-wide effort to increase awareness about maternity mortality and advocate for improvements in women’s health care. Yvonne is a leader for the Anti-Defamation League Women’s Initiative for which she chaired an event highlighting the maternity mortality crises in the state of Texas by assembling a panel medical and community leaders who presented thought leadership on how to stabilize and course correct this issue. Yvonne also chairs for the Dinner Dialogues project for Interfaith Ministries of Greater Houston. The project provides opportunities to learn about Houston’s diverse faith communities in an environment of respect and understanding. Yvonne is a frequent speaker at conferences and events on a variety of Corporate & Social Responsibility and Diversity & Inclusion topics including: women’s leadership and empowerment, generational differences, gender balance, Employee Resource Group effectiveness, work-life integration, and inclusive leadership/mitigating bias. Yvonne is the volunteer Executive Director for the Council for Corporate Responsibility, an incoming Board Member for the Citizens’ Environmental Coalition, and a Community Advisory Panel member for the Junior League of Houston. Yvonne also chairs the D&I Education Committee at her son’s school, creating age-relevant curriculum on diversity-related topics that are designed to teach students the importance of being inclusive and focusing on a person’s character.